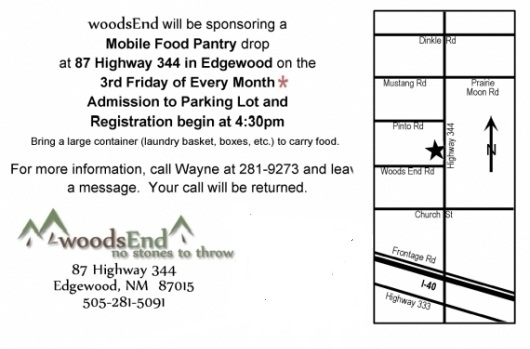 Mobile Food Pantry at 87 Highway 344 in Edgewood on teh 3rd Friday of Every Month. Bring a large container (laundry basket, boxes, etc.) to carry food. For more info call Wayne at 505-281-9273 and leave a message – yoru call will be returned.